This is the moment motherly love was captured on camera when a rhino rescued her baby after the little calf got stuck in a muddy bog. 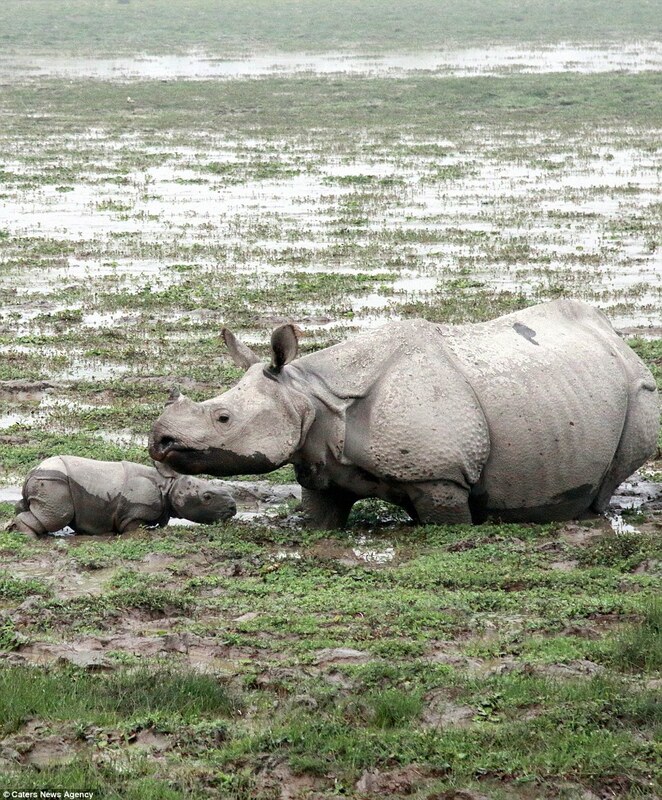 The baby rhino got into a spot of bother as the pair made their way across a muddy field - and when mum realised her calf had fallen behind she dashed to the rescue. 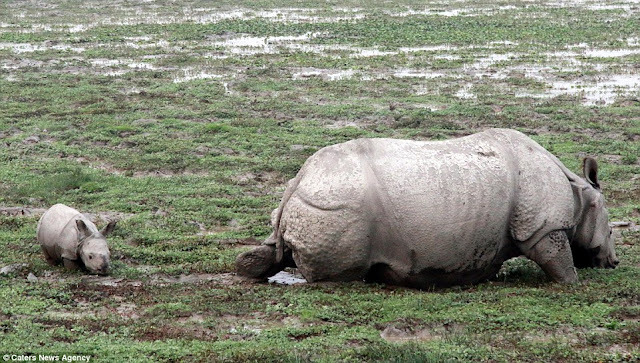 As she coaxes the bewildered rhino out of the wet mud, she plants gives him a loving kiss as they trot off together into the grass. 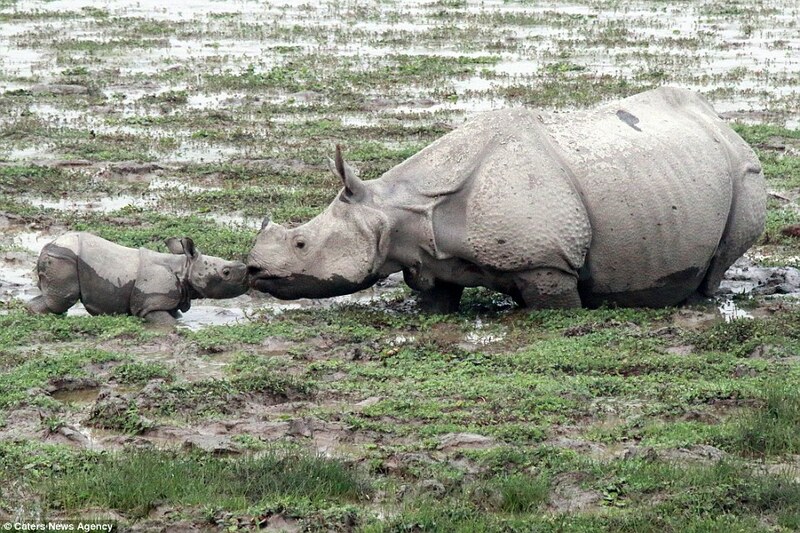 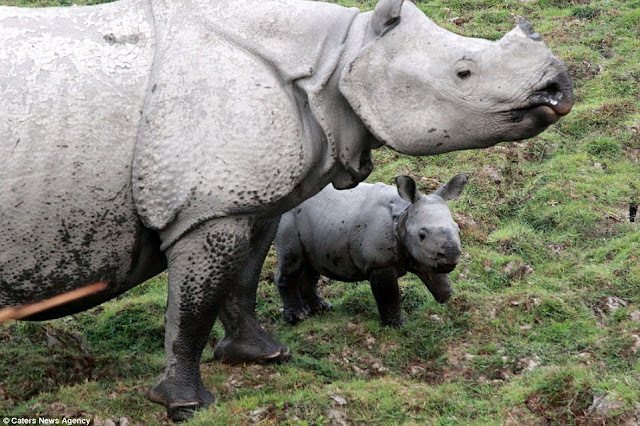 The sweet moment was caught on camera by amateur wildlife photographer Sanjeev Chadha, at India's Kaziranga National Park.Mr Chadha, a 49-year-old chartered accountant, said: "It was the last day of my trip, and I was desperate to see a young rhino calf. 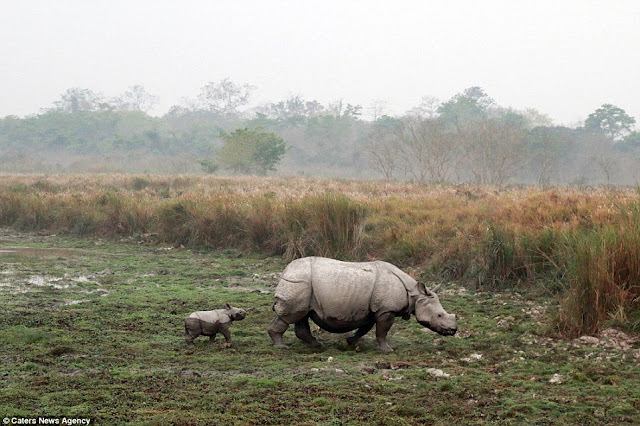 "It was early in the morning, and we came across two mothers with their very young calves. 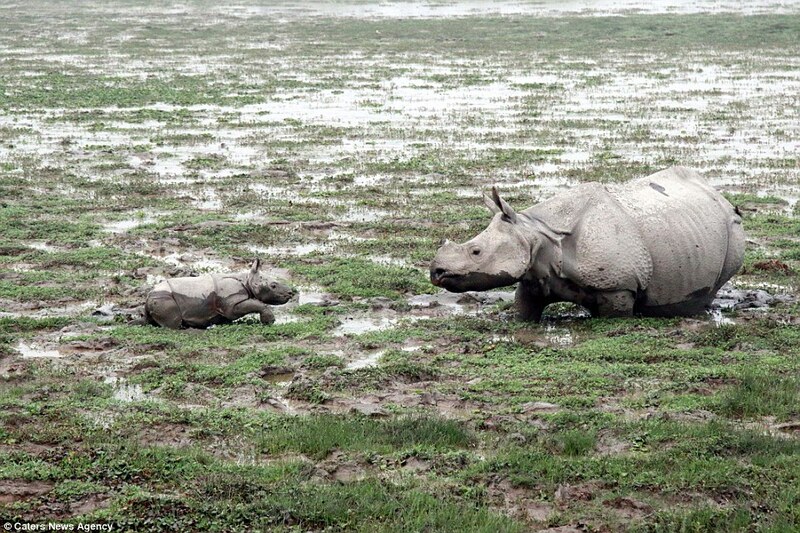 "We decided to follow one, as she was moving across a long slough with a lot of wet mud, and the calf was following her. 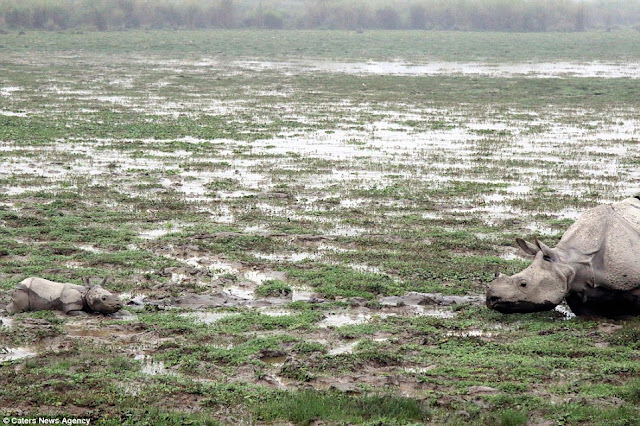 "As they crossed, the calf got stuck in the wet mud and its legs got caught up. 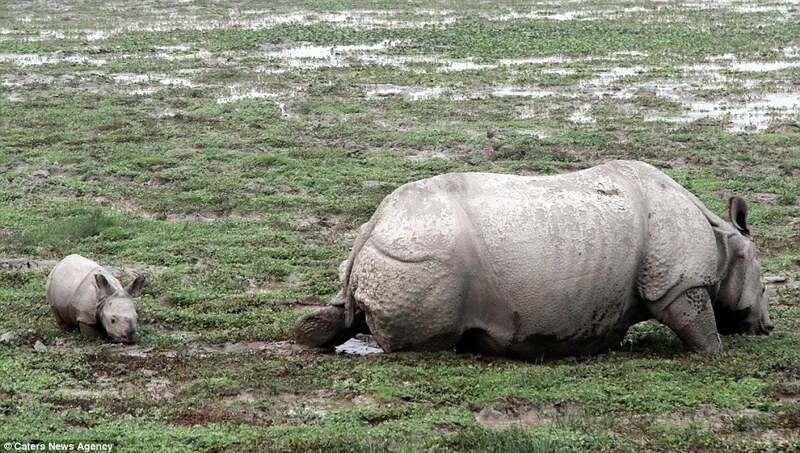 "The mother didn't realise until she turned back to see the calf looking at her, so helpless and tired. 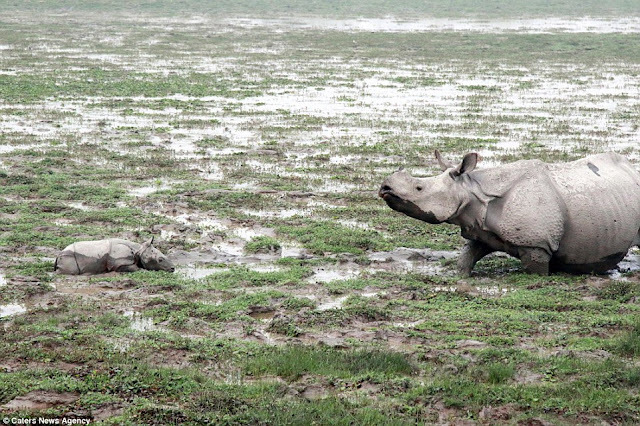 "She raised her head towards the calf, as it telling it to come - suddenly I saw the calf gather all its energy and start moving towards its mother. "It took about two minutes for the calf to reach its mother - she gave it a kiss on the lips, something I've never witnessed before, and nuzzled it as if she was praising it for its brave efforts. "The pair started moving on, and after a couple of minutes we watched both of them disappear into the long grass. Responses to "Stuck in the mud! 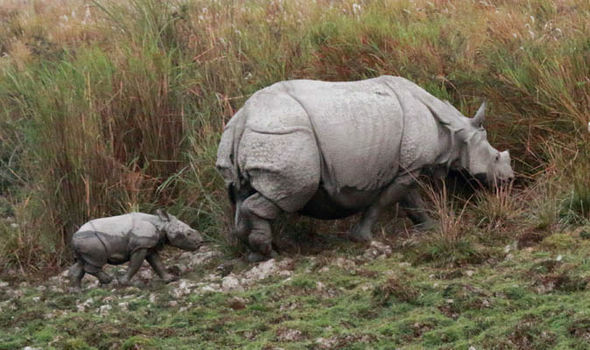 Rhino rescues baby from bog in ultimate show of motherly love"